You do not see these very often. 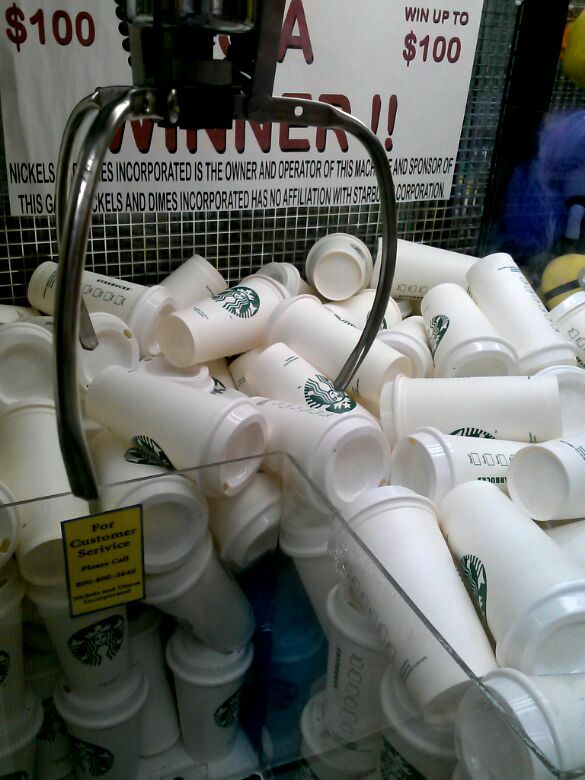 The claw machine full of Starbucks coffee cups was inside a Florida mall. 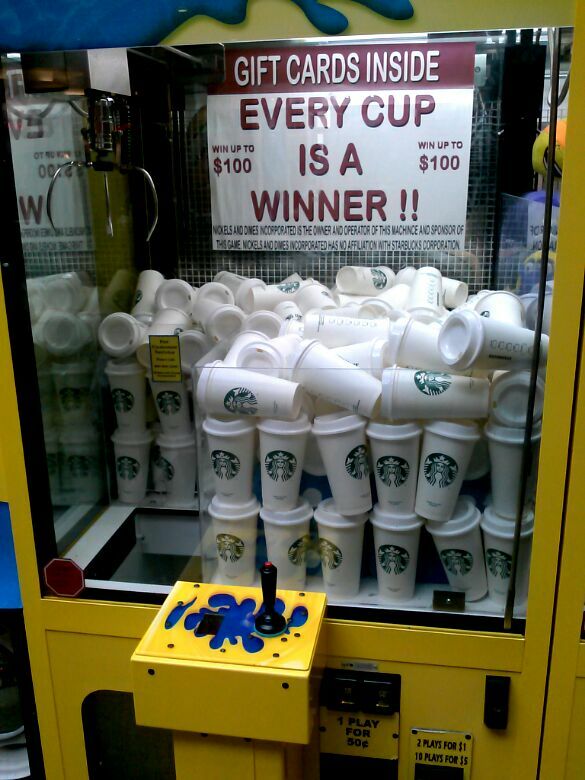 Every cup was a winner, claimed the sign. Not sure if the prizes were coffee related or not. Did not see anyone win using the machine.